“Any wish is my command” said EBAY! The person that came up with this concept should be awarded some sort of Nobel Prize for brilliance! EBay started in 1995 , however it feels like it has been around forever!! Something fascinating like this always gives me an urge to find out how it all started and how the idea came about. It seems that the first product ever to be sold was a broken laser pointer for $14.83 , and the founder Pierre Omidyar actually called the winning bidder to check that he really knew what he was actually purchasing. In the months to come it resulted in a higher traffic of people visiting the site. Would you believe the seed to the on-line bidding empire came about from a side hobby and selling one broken equipment! History apart, I have no idea how I functioned without eBay. It seems extreme, but it makes life so easier now. Ebay is a commodity which is perfect for the heavy life style most of us lead. Mentioning a few of my top buys, such as pet products , like grooming gear which I literally saved 100’s on and unique evening dresses that are hard to come by. Usually I never ever buy used items, however I always had a soft spot for Karen Millen and about 6 years ago from other sites the dress I really loved was pricey at that time and I thought for the price it is not worth the risk. So I checked eBay; I typed, “Grey Chiffon dress Karen Millen” and the dress appeared as an auction with my size, worn once! This dress was gorgeous, softly panelled, grey shades fading to a darker tone, had a Grecian single frill on each arm, tucked on the waist and flowed down till the knee’s. I really wanted it, the seller put it at price of GBP50, and after 3 days of constant monitoring the dress was mine! Bought GBP70, worn once, no damage and usual retail price was GBP 190 (EUR233)! When it arrived a couple of days later I was over the moon it fit perfectly! Since 2004 I have accumulated over 300 items bought from all parts of the world. (Even that power that you can purchase from other countries is some what brilliant and exciting! ) Which brings me to my second top item bought from Hong Kong and gave me a great deal of entertainment for a good couple of years! 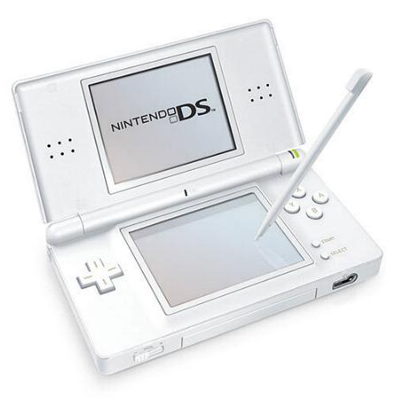 When I got my Nintendo DS I was looking through every way possible to get this touch screen console with a huge bundle of games without breaking the bank. So for the first time I purchased from Hong Kong. It is always a risk getting an item from outside of Europe, returns policies, charges and what if it comes set-up in Chinese! Well the description was pretty clear,brand new, this was an English set console with an SD card which included a 100 games! Cost EUR125. BARGAIN. It took 4 weeks to arrive ,I saved money and most of all it worked for 5 years! Basically the search engine will get you to anything you desire, maybe a magnetic ludo game for your next trip, or Christmas stockings with embroidered names, mobile covers that have any design you can imagine, a usb cable in green to match your tablet cover and many more! Yes there are those purchases which have been done purely cause you can’t resist to say no to such a price, but time teaches you to back off from senseless buys as it becomes somewhat addicting! It’s also easy to pay, PayPal is an extremely dangerous way to send payment, one click of a button and in 2 seconds your payment has been sent. You may have realised that eBay is a search engine I would gladly spend hours on end browsing through and choosing the odd item or two. So thank you Mr Omidyar, your invention makes my life more practical, fun and efficient. It also hurts my Visa but that is an other story! Next Next post: My Evening Face Cleansing Routine..after hitting 30!